You don’t have to buy and charge your own power bank. 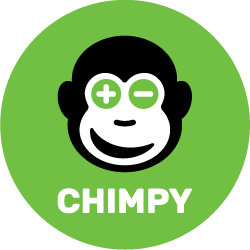 Our Chimpies have a high utilization rate and are used over and over again. Like this, nothing is produced which will waste resources and not be used. You help to promote and support the most environmentally friendly electricity... solar electricity. Because we recharge our Chimpies exclusively with certified solar power.